Fast action, rips through multiple layers of paint and varnish. 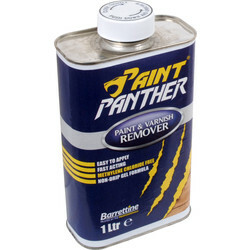 Paint Panther Paint & Varnish Remover 1L is rated 4.3 out of 5 by 59. Rated 5 out of 5 by Raffi from Paint stripper It does the job had to use a stiff brush to remove stubborn bits, job finished street door looks great. Ray. Rated 4 out of 5 by MM W from Good stuff Does what is says on the tin but it’s a bit messy that’s why I gave it 4 and not 5 stars. 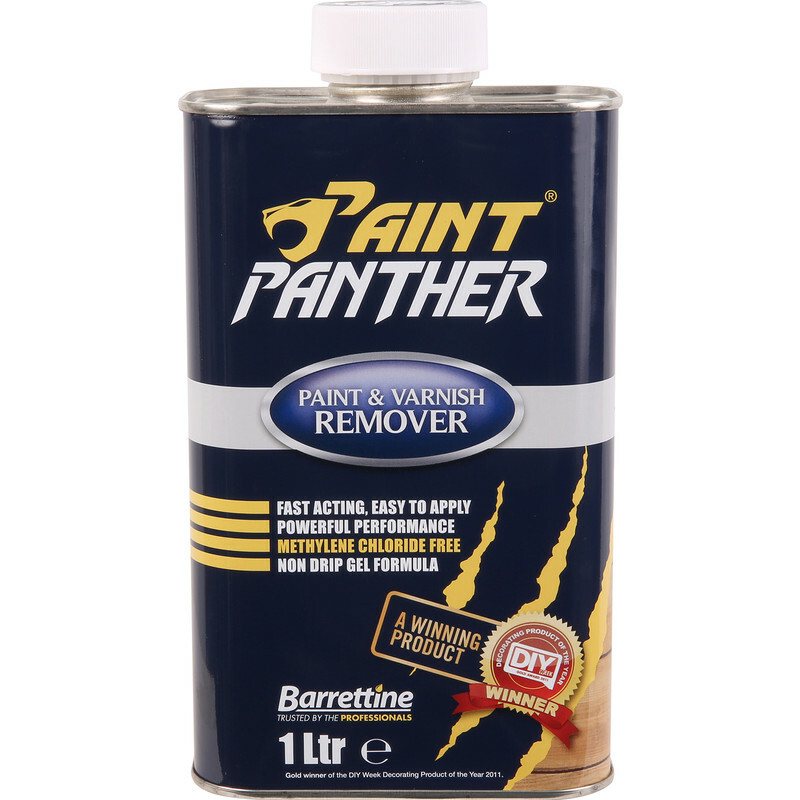 Rated 1 out of 5 by RobDingwall from paint panther I bought this for removing spray paint , one of the reviews said it worked , I had my douts and I can assure you I was right , now on the garage shelf for the next 10 years , I gave it a bad review for spray paint it might be good for other paints ! Rated 5 out of 5 by Nicb from Effortless After reading reviews I decided to buy this to strip and old church pew that had been painted red then cream. After application it required minimal effort to remove the paint. The red paint was the first coat that had been applied to the pew that had been previously stripped in places. I used paint panther and a non stick dishes scourer to remove the majority of the red paint. I will still need to sand the pew but only minimally in parts because it has already been sanded. Rated 5 out of 5 by zozo from about as good as you can get over the counter. looking for a stripper that actualy worked since all the main brands changed the formulas! tried this and it actualy worked very well, strips hammered metal paint varnish and anything else oil based! and will strip your lungs too so wear a mask and do outside if you can it is strong, leave for about an hour and scrape off it's a bit gooey but it works, apply 2nd coat after 1 hour for multiple coats scrape between coats or it gets messsy i managed 2 coats of hammered in 1 application so not bad at all be patient it takes time for it to blister not like the old chlorine based products but it get's there in the end. Rated 4 out of 5 by Newbie234 from Good for paint but need a lot of coats for gloss Paint came of easily but had to apply a multiple coats to remove gloss. Couldn't compare with other products as this was the first one I used. Rated 5 out of 5 by DIYer47 from Really works! 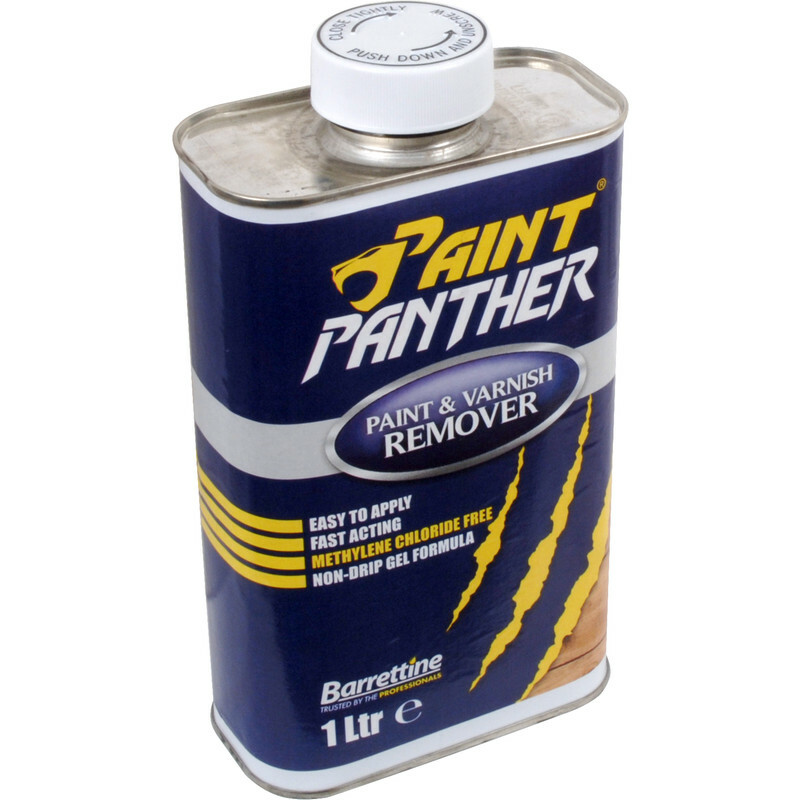 Very effective at removing varnish and paint.Much better than some other products.